Provide comfort for the family of Celine Leblanc with a meaningful gesture of sympathy. Jericho - Celine Cecile Leblanc, 86, passed away peacefully on January 18, 2019, with family by her side. Celine was born on March 4, 1932 in St. Sabine, Quebec to Leopold and Aurore Bonneau. At the age of 5, she moved with her family to Lowell, Vermont. She met and married her husband, Norman Leblanc, who she leaves behind after sharing 65 wonderful years of marriage. She worked hard her whole life in various stores and family restaurants. Her real passion in life was raising her children and spoiling her grandchildren and great grandson. She loved cooking and getting together for family gatherings. In addition to her husband Norman, she is survived by her children and their families: Donald Leblanc and his wife Cathy of Colchester and their daughters Chelsea and Lindsay, Lucy Bathalon and her husband Paul of Jericho and their daughters Sara and Emma with her husband Ryan, Gloria Blake and her husband Bill of Underhill Center and their children, daughter Abby and son Cory with his son Azlan. She is also survived by her brother Bernard Bonneau and his wife Fern of North Troy, Vermont; by her brother-in-law Real Limoges of Newport, Vermont; and by numerous nieces and nephews. On Saturday, February 2nd, a wake will be held at the Underhill Center Town Hall, 12 Pleasant Valley Road, Underhill Center from 9-10:30am with a funeral mass following at St. Thomas Roman Catholic Church, 6 Green Street, Underhill Center, Vermont at 11:00am. Luncheon to follow in the Church basement hall. Come and celebrate a life well lived. Online condolences maybe shared by visiting www.awrfh.com. Should friends desire, contributions in Celine’s name may be made to: Essex Rescue 1 Educational Dr., Essex Jct, VT 05452. 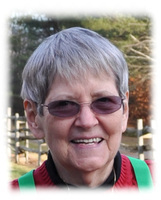 On Saturday, February 2nd, a wake will be held at the Underhill Center Town Hall, 12 Pleasant Valley Road, Underhill Center from 9-10:30am with a funeral mass following at St. Thomas Roman Catholic Church, 6 Green Street, Underhill Center, Vermont at 11:00am. Luncheon to follow in the Church basement hall. We encourage you to share your most beloved memories of Celine here, so that the family and other loved ones can always see it. You can upload cherished photographs, or share your favorite stories, and can even comment on those shared by others. Sending our love and deepest sympathy to the Leblanc Family. Our deepest sympathies to the Leblanc family. We are so sorry for your loss. You are in our thoughts and prayers. Very sorry for the extended LeBlanc family with Celine's passing away. She was a wonderful woman and brought a lot of joy and happiness into everyone's life. You will always have her memories and know she will be watching down on all from her place in Heaven. So sorry for your loss. We have many great memories of Aunt Celine. She was a beautiful, kind soul. Sending our prayers and love to you all.